This amazing top-deck duplex is just metres from the most beautiful beach in Port Stephens. The property boasts a resort-style swimming pool and cabana, and is one of the most sensational beach houses in Australia - luxury accommodation for up to 6 people in 3 queen bedrooms. There are 2 full bathrooms. And if you need more space, you can rent out the entire property (sleeps 12 people). Just search for Beach Palace in Nelson Bay. With fabulous water views looking towards the north, The RETREAT is an opulent, no-expenses-spared, resort-style duplex on Dutchmans Beach. For those who don't already know, Dutchies is renowned as the most beautiful beach in Port Stephens and, being a bay beach, it's relaxing for adults and safe for young children. Nestled in one of Port Stephens most prestigious residential streets - only metres from the pristine, white sands and crystal clear waters of Dutchies - sits this remarkable, modern duplex boasting three large bedrooms (one with en suite); two full bathrooms (the first is the en suite, the second is the main bathroom featuring a deep luxurious bath as well as shower, toilet and vanity); stylish open-plan living areas; private north-facing balcony with delightful beach and water views; fully-stocked, state-of-the-art kitchen; laundry; tropical pool and cabana (shared with only one other duplex); lock-up garage and incredible outdoor entertaining areas. From this magnificent apartment, it's just a short stroll along the beautiful foreshore pathway, past the Marina and into the vibrant heart of Nelson Bay. The RETREAT at Dutchmans Beach is the ideal place to celebrate a special occasion, enjoy an unforgettable family holiday, or for a responsible group of friends to experience the best of Port Stephens in absolute luxury. As a guest of 'The Retreat', you will receive FREE vouchers giving you up to 20% discount on Whale Watching or Dolphin Watch Cruises. NOTE: 'The RETREAT' IS AN EXCLUSIVE HOLIDAY DESTINATION - IT IS NOT A PARTY HOUSE FOR TEENAGERS. NO ROWDY PARTIES ARE ALLOWED! Weddings, corporate functions, schoolies and pets are NOT permitted under any circumstances. A valid credit card number (or in some cases, a $500 bond) must be supplied prior to check-in as a security measure. Bookings can be made by internet transfer, bank deposit or cheque. Although each bed has a decorative doona and matching pillows; linen (sheets and pillow slips) and towels are NOT provided. These can be rented locally for a fair price (as can baby requirements such as cots and highchairs) - details upon request. This gorgeous duplex is all about space, luxury, beach-life and fantastic water views. The Welcome Folder at the house tells you all about the best of everything in Port Stephens and gives detailed directions on how to get around. As you might expect; The RETREAT is not cheap. However, when you walk into the home for the first time, you'll immediately realise... IT'S WORTH EVERY CENT (for an indication of our pricing, scroll to the calendar and hover your curser over the dates you are interested in). The RETREAT is a magnificent 2nd-floor duplex. * It has its own private sundeck with beach and bay views. * Great beach just metres away. * A short walk into the heart of Nelson Bay. * This is a NON-SMOKING apartment. * The main attraction is THE BEACH!!! * Whale-watching (late May until late November), dolphins all year round. We can secure you up to a 25% discount for your Whale Watch/Dolphin cruise or for boat hire. * Kayaking or sailing in the crystal waters of the Port. * We'll tell you about some great walks where you might see dolphins, turtles or even fairy penguins. * Superb fishing off rocks or the breakwater at Nelson Bay. * Boating, with discounts on boat hire. * Enjoy a game of tennis or a round of golf. * Hire a bike locally and explore the hundreds of kilometres of bicycle paths around the Port. * Koala-spotting on the Tilligerry Peninsula. * Excellent surfing at Birubi point. * Fabulous bush and coastal walks in the Tomaree National Park. * Snorkelling around the local rocky coves that team with colourful fish (we'll tell you where to see the most fish and how to hire the gear at a 10% discount). * Safe family beach within a few steps. Very relaxing stay for all, perfect location to beach town and golf! Great location, great apartment - everything you need for a relaxing stay in Nelson Bay. We had a great relaxing stay at the retreat. 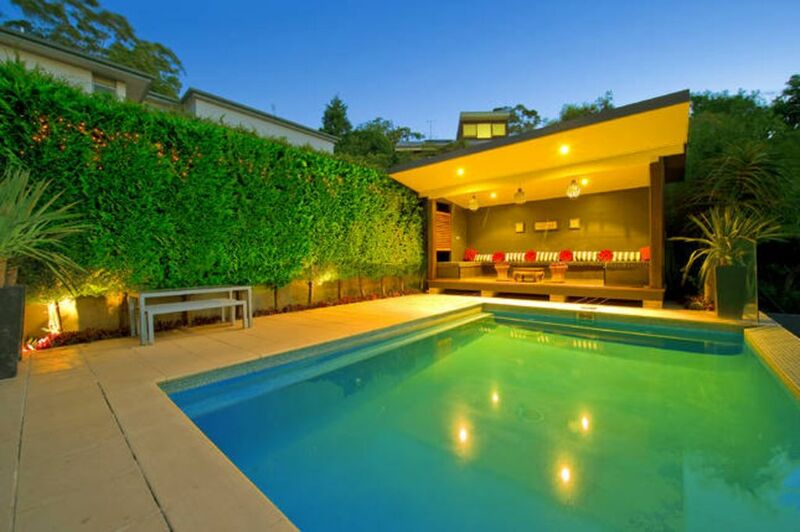 It is a very comfortable property which is well designed and decorated. The apartment and pool were both clean. Enjoyed our stay - despite a mini-hurricane passing through the area days before and bringing down countless trees! Easy walking distance to Nelson Bay along a shaded track. Lovely property. We stay at a lot of different properties on family holidays. Dutchman's Retreat was definitely a standout. The property itself was well set out with plenty of room for 4 people. The location was superb and we really enjoyed the 10 minute walk along the coastal path into Nelson. Dutchman's beach is beautiful and the view of this from the house is fantastic. We will be visiting again!